UPDATE: It seems as though Sochi's uninvited guest wasn't even a guest at all -- the video was a hoax all along, devised by talk show host Jimmy Kimmel, with the cooperation of Kate Hansen. Sandy Caligiore, a publicist for the United States Luge Association, confirmed that the host created the hoax, similar to his infamous "twerk fail" video. Hansen will reportedly be interviewed on Kimmel's show Thursday night. Last night, U.S. Olympic luger Kate Hansen posted a video to YouTube showing an unusual guest at a hotel in Sochi -- it looks a big Sochi stray or a wolf is making himself at home in the hallway. So who is this unusual guest? 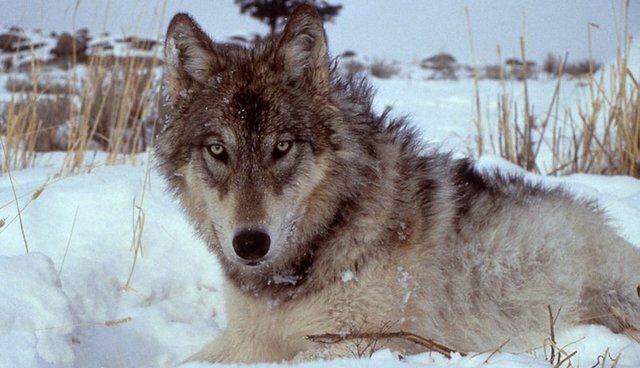 Friederike Range, Co-Director of the Wolf Science Center in Austria, said that she and her colleagues believe that the animal isn't a wolf after all. "The behavior is not wolflike at all and also the head is far too narrow," she said. "Besides, the 'wolf' is quite fat." Lindsay Mehrkam, a Ph.D. candidate at the University of Florida studying the behavior of wolves, dogs and wolf-dog crosses, agreed, saying that she believes the animal is a "low-content wolfdog" because of the white fur on his face, thick body and wide chest. Phenotyping is definitely an imperfect science, but I would guess that the animal in the video is certainly not a pure wolf. There are a lot of characteristics that look like either Siberian Husky or Alaskan Malamute may be in his cross.